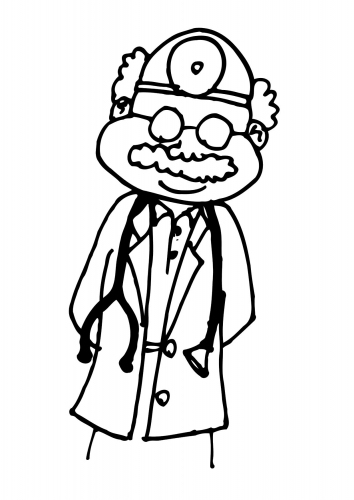 I once read an interview with a p rominent physician who said that after twenty years, he estimated about 80% of his medical knowledge had been acquired after medical school. This is both obvious and scary at the same time. You mean he was only partially qualified when he finished med school? Is that why they say that doctors “practice” medicine? Actually, there is nothing unusual about this, and his comments do not diminish the fact that our medical schools and doctors are consistently excellent in what they do. The exceptions to this competence are so rare as to make headlines. I finished my Master of Divinity degree, the professional training for ministry, nearly 30 years ago. Since then, I have gained a great deal of knowledge about ministry from many different sources: reading, observation of others, seminars, practice (i.e., trial and error), and my many constructive critics. One of the things I can see now is that while I have had to learn many new things, I have also had to “unlearn” some things I was taught. This is not a reflection on my education at Emmanuel School of Religion (now Emmanuel Christian Seminary), which was excellent. It is more a reflection on the many little truism-type sayings that were drilled into me over the years. I have begun to see that many of these things were not very Christian, much less biblical. One of these old sayings I have been thinking about lately is the advice that we should pray as if everything depends on God, and work as if everything depends on us. The first part is certainly biblical. The Psalmist advised that we should “cast our cares on the Lord” (Psalm 55:22), advice echoed in 1 Peter 5:7. In light of our utter dependence upon God, the advice to “work as if everything depends on us” is either bitter irony or simply wrong. To me, this smacks more of the American ideal of individualism and self-sufficiency than of dependence upon God. Do we abandon our faith in God’s providential care for us when we exit the prayer closet? I hope not. I do not intend to give anyone I pretext for spiritual laziness, but to work under the pressure that you and you alone are the one who both sustains and makes a difference is both arrogant and depressing. There is no joy in this, and I believe that working for the Lord should be joyful service. So indulge me a little as I ammend the saying: We should pray as if everything depends on God, and work as if everything depends on God. One of the followers of this blog, L.V. Spencer, asked me to comment on the relationship between “loving one’s neighbor” and “trusting.” I gave a brief response to this interesting comment yesterday, and today I would like to expand upon it. Paul teaches here that this statement, “Love your neighbor as yourself” is both the fulfillment of the entire law and is a useful way to sum up the entire law. He sees this as a “debt” we carry to our fellow men and women. This is important stuff, then.The saying is somewhat self-explanatory. What does it mean to “love” another person, a neighbor? It means to treat thatperson the way you would want to be treated, another version of the Golden Rule principle: Do unto other as you would have them do unto you. Having said that, I don’t see this including a blanket “trust” of one’s neighbor. Love of this type is based in kindness, in active compassion, in concern and care for another. Trust is quite another matter. The biblical concept of “trust” is related to the biblical concept of “faith.” To have faith in God is to put our trust in God. For example, 1 Peter 1:21 is sometimes translated “believe in God” (KJV, NIV) and sometimes “trust in God” (NRSV, NLT). When we put our faith in Christ for salvation, we are trusting that he is willing and able to save us. This is faith in a person, not in a concept or creed. Faith, in the end, is the expression of a personal relationship. Neighbor-Love is also a relationship idea, but it may be fairly anonymous. 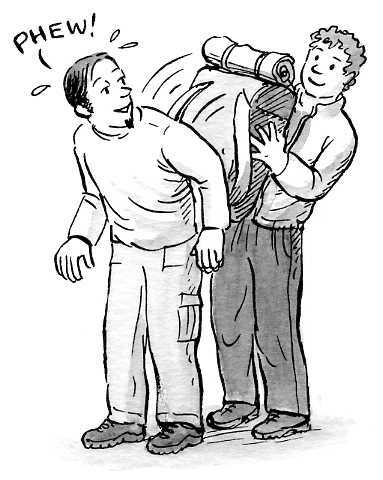 I may help a person in need (my neighbor) in a one-time encounter and have no continuing relationship with that person. For example, Mark records that when Jesus was approached by the “Rich Young Ruler,” he “looked at him and loved him.” He wanted to help this sincere young man. He cared for him, but there is no indication that a relationship developed between the two. In fact, Jesus’ demand that the young man go and sell all of his belongings and give to the poor caused him to reject Jesus and leave. Jesus loved this young man, but I don’t see anything to indicate he trusted him. Here’s why. Faith/trust is a concept related to obedience. If we trust a person, if we believe in that person, we will be willing to obey that person. The young man may have respected, even loved Jesus, but he did not trust him enough to obey him. 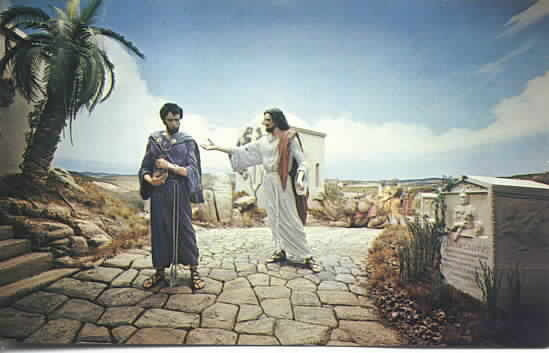 Likewise, Jesus loved the young man, but did not see any need to obey him. Instead, he saw the need to have the young man obey him, and the relationship failed at this point. So I don’t see Jesus “trusting” this man in any real sense. I also don’t see Jesus quitting in his love for the man when his command was rejected. Our human relationships will always be imperfect. We may love without trusting because of the untrustworthiness of a person. We may also trust without loving if there is no relationship that calls out our love. (I trust a pilot to fly me safely to another city but don’t love him because I don’t know him.) With God it is different. We may love and trust God fully, unconditionally, and we will never be betrayed or disappointed. In a previous post, I tried to carve some distance between “forgiving” and “forgetting.” Although these two things are often equated, they really are quite different. We may forget things but not forgive, and we may forgive things but not forget them. I don’t think a failure to forget is a spiritual flaw or weakness. It is part of how we are made by our Creator. When we forgive someone, we no longer hold an offense against them, but it would take something more than will power to remove it from our memory. A similar fallacy comes from linking forgiving to trusting. I recently heard a presentation on forgiveness that instructed people to trust and then forgive. The main point of this speaker seemed to be that if we do not trust a person, we have not truly forgiven. The Greek word most used for “forgive” is the verb aphiēmi. Its basic meaning is “release.” It was used for the act of divorce, to “release” a wife from the marriage contract (only men could divorce in the New Testament world). The word does not imply a long process. 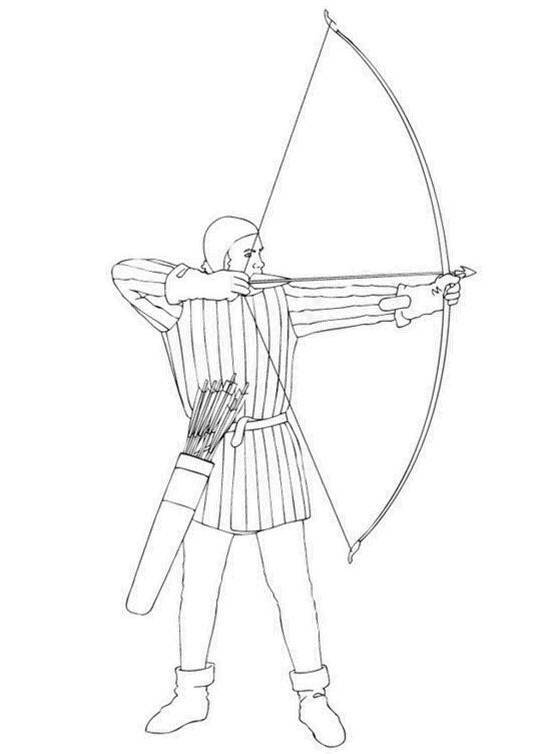 In fact, in classical Greek, the word was used for the act of “releasing” an arrow from a bow. Think of that! When an arrow is released, it is gone! Vamoose! Wiedersehen! Zip! Zoom! Now you see it, now you don’t! Gone and quickly far away! We should always be cautious about doing theology based on the meaning of Greek words (especially using information from the classical period), but I think the idea stands. Forgiveness is not a long process. It is a decision made at a point in time to release, to give up any claim to have been offended or wronged by another person. If we are asked to forgive someone and our answer is “I’ll think about it,” we have not forgiven that person. This only comes when we say, “Yes, I forgive you.” And, as the previous post said, this releasing is as much about our own well-being as it is about the other person. When we release the sins of others, we move on and we can begin to heal. Trust is another matter. If a trust has been betrayed, it cannot quickly be restored. Let me give you an example I have dealt with several times in ministry. A woman leaves an abusive husband who has beaten her several times. At some point she needs to forgive him, to release any desire for vengeance or claim for redress. This is for her own good. She needs to heal from this broken relationship. But when she decides to forgive her abuser, we should not expect her to trust him. No pastor should tell this woman, “Yes, you must forgive him and move back in with him.” Our act of forgiving does not automatically change the person we have forgiven. Trust must be earned. Trust broken may take a long time to be restored. I can forgive a person, even love that person deeply, without trusting him in any important way. This may sound callous or non-intuitive to some if you, but when I forgive a person, I accept them as they are and hope they will change. I may need to accept a person as untrustworthy. If so, why would I trust them? There is another part of this, and that is the teaching that I should only forgive those who express repentance to me. I don’t think it works that way. While God asks for repentance as a condition for forgiveness, I’m not sure we should expect this. Many people sin against us, and if we keep score until each has repented in word or note to us, we will harbor countless grudges, accumulating more and more until we die. I don’t want to live like this, and I don’t think you do either. Christians are people of forgiveness. But they are also person of wisdom and discernment.So when someone claims you have not forgiven because your don’t yet trust a person, don’t believe them. 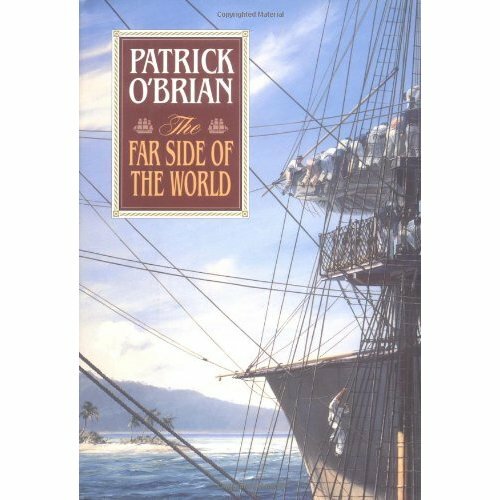 In one of Patrick O’Brian’s novels, his two heroes, Captain Aubrey and Dr. Maturin, find themselves stuck in Bombay for several weeks while their ship, the Surprise, is being refitted. Stephen Maturin, always the adventurer, takes the opportunity to explore this exotic city, controlled by the British in the early 19th century. Dr. Maturin soon acquires the assistance of a young Indian girl, Dil, to help him navigate Bombay’s streets and negotiate various business transactions. The street-wise Dil wins a place in Maturin’s heart, and he treats her like a daughter. The gap between Maturin and Dil is enormous. He is a highly educated Irishman, whose modest wealth places him far above almost everyone in the poverty-stricken city. Dil is a young orphan, come to the city from a tiny village with her old grandmother. She lives in a tiny shack and owns only the clothes she wears. As the time nears when Surprise must sail from Bombay, Dr. Maturin takes steps to insure a better future for Dil. He arranges for a friend to provide training for the girl in sewing, so that she would not be forced into a brothel at puberty. And then, the evening before his was to sail, he gives Dil an extravagant gift: six silver bangles to wear on her arms. Her delight is inexpressible, and Maturin’s heart is warmed. Dil promises to come say good-bye to the good doctor the next morning, in time for him to board the ship. Maturin rises early that morning, but Dil does not appear. Maturin begins to worry and finally he sets out into the city to the dirty slum where Dil lives. As he arrives at the hovel Dil and her grandmother occupy, he sees that a small crowd has gathered in the street. Then he sees Dil’s tiny body laid out on the ground. He sees the marks on her arms where the bangles were violently ripped off. The ancient grandmother is railing at the crowd, asking that they would each give a coin to pay for a decent funeral. But the neighborhood is desperately poor and only a few coins are in the begging bowl. The terrible caste system of 19th century Hindu India has made the death of the small girl even worse. She is from an extremely low caste, and the people are very reluctant to break through this entrenched system. Maturin, of course, as a foreigner, is exempt from the system, and cannot understand how some people can be treated as “untouchable” simply because of the family they are born into. We, as humans, are floating in the sea of a godless world. We have drifted far from home. We look to others trapped in the same dilemma to give us comfort and give us guidance, but they too are lost. So we float along, gasping for breath, afraid that the next wave will overwhelm us and plunge us into the deep. We cannot save ourselves, nor can any fellow floaters help us. As darkness approaches, we are without hope and in utter despair. I grew up in a Christian teaching environment where we were told we must “forgive and forget.” To do this, our teachers said, is to act in a righteous, god-like way, for the Lord is one who forgives and this means God “remembers [our] sins no more” (Jeremiah 31:34). I think there are several problems with this model, and while it is perhaps well-intentioned, it is theologically flawed and leads to an almost intolerable tension in our lives as faithful Christians. First, let me say that I’m not sure the Old Testament idea of “not remembering” is the same as “forgetting.” To lean on verses that picture God as no longer remembering our sin seems to go against other Scriptures. For example, in Amos 8, the prophet speaks for the Lord to the people of Israel in condemning the injustice in their land, and ends a section by declaring, “The LORD has sworn by himself, the Pride of Jacob: ‘I will never forget anything they have done. '” (Amos 8:7). Does this mean that God would renege on this threat/promise later if they repented and were forgiven? It is theologically dangerous, however, to use something like the doctrine of God’s omnipotence to tell God what he can or cannot do. If we step back a little, we realize that the very nature of God’s omnipotence means we cannot dictate such things to God. God is not limited by our understanding or theological models. So what does Scripture mean when it promises that God will no longer remember our sins once they are forgiven? I think it means that the damage those sins caused in our relationship with God are repaired. It become water under the bridge. We are restored and reconciled. We don’t have to fear the valid and just consequences for those rebellious sins, because God has promised not to hold them against us. So, forgiving does not necessarily require forgetting. God is gracious, and as we heal from the sins committed against us, the pain and memories of being wronged may recede from our memories. Or not. We are not less spiritual if we forgive someone yet still remember how they wronged us. I have tried to esta blish two categories for discussion in this blog, “Theological Mistakes” and “Theological Disagreements.” What I would like to discuss today is very close to a “Theological Mistake,” but I am going to be a little softer and list it as a “Theological Disagreement,” because it is certainly not a matter for the heretic police. In the last 10-15 years I have been hearing more and more public, Christian prayers ended something like this, “We pray this in your name, Amen.” This has replaced the more traditional ending, “We pray this in the name of Jesus, Amen.” Why this shift? I don’t know the exact reason for this, but I have two suggestions. 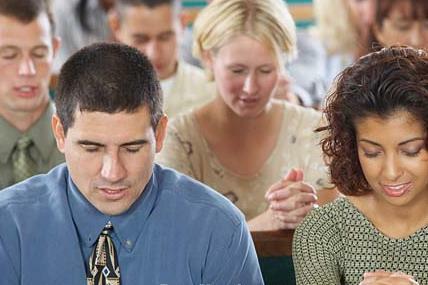 First, there may have been some indirect pressure from those who are asked to pray in a public, non-church forum. I remember praying for my Rotary Club in Los Angeles where about 1/3 of the members were Jewish. It would not have been appropriate for me to end a prayer “in Jesus’ name” there, because I was praying for the whole group, and my Jewish (and Muslim) friends would not have been included in that. I just ended my prayers in this setting with, “Amen,” which was acceptable to Jewish people, Catholics, Protestants, Evangelicals, and even to Muslims. I have long believed that if you are unwilling to be non-sectarian in this type of public prayer you should decline the invitation. However, I have seen suggested model prayers for public events ending with “in your name,” presumably to be more inclusive and not exclusively Christian. Second, and much more likely, is a confusion in understanding the doctrine of the Trinity. Let me illustrate. I used to see bumper stickers that proclaimed, “Jesus is Jehovah.” I understand the sentiment behind this (protecting and proclaiming the divinity of Christ), but this is theologically misguided and overly simplistic. There is a distinction between the Father, the Son, and the Holy Spirit in the persons of the Trinity. We can argue and disagree about what that distinction is, but we should agree that the Father/Son/Spirit language is both biblical and helpful for us to understand the nature of God. Christian prayers are generally addressed to the Father, although we may sometimes pray to the Son (and even to the Holy Spirit). But if we are praying to the Father, what’s wrong with ending the prayer, “in your name”? Here’s what’s wrong. When we pray “in Jesus name” we are doing more than giving a liturgical or ritualistic flourish to the end of our prayers that is somewhat meaningless. We are claiming a promise. In John 15:16, Jesus teaches, “whatever you ask in my name the Father will give you.” I believe this is the basis for praying “in Jesus’ name.” Most prayers include petitions, asks. If we are asking things of God, doing so in the name of Jesus clarifies our basis as Christians for such asking. So, unless we are praying specifically to Jesus the Son, the “in your name” seems misplaced. And, if we are praying specifically to Jesus the Son, ending the prayer “in your name” doesn’t make sense to me, because it is a misunderstanding or warping of the promise Christ gave his disciples. One further note: there is a great variety of ways to end prayers. There is no dictated pattern in the Bible that demands we end a prayer in anyone’s name. We do find many New Testament prayers ending with “Amen,” meaning, “May it be true” or “May it be so.” I cannot find any prayers in the Bible that end in either “in the name of Jesus” or “in your name.” But I do find the basis for ending a prayer with “in Jesus’ name” (or some variation) in this promise that Jesus gives as recorded in the Gospel of John. I have a database of hundreds of sermon illustrations I have developed and collected over my 35 years of ministry. I have been trying to post new blogs every MWF, and I think I am going to use Fridays to post some of these illustrations. Please use them if you find them helpful. I don’t have sources for all of them. Many are my own creations, others I have heard in sermons and written down. 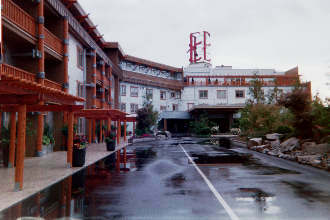 When working at the Edgewater Hotel in Seattle during my college days, I observed a family check in from our of state who had a beloved family dog. It was obvious from watching them that this dog was very valuable to them. Several days later, I was surprised to see this dog running around loose in the parking lot of the hotel. I tried to catch it, but it wouldn’t let me get close. It was now all dirty and wet, barely resembling the well-groomed pet of the week before. I later learned that it had gotten away from them when checking out of the hotel, and they could not catch it before they had to leave. How much like the one who strays from the family of God!